Iroko is native to West and East Africa , it is golden to light/ dark brown in colour. It works well with hand/machine tools, nails, glues and screws well. A very durable timber which makes it the main preference of most wooden gate manufactures. Once this timber has been coated with a finish of your choice, over a period of time it will go silver grey, unless coated again. For some of our customers this is the preferred finish as they really want a rustic look to their gates. 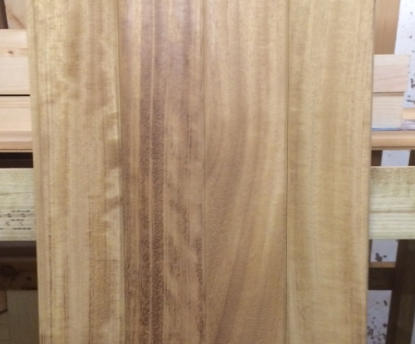 Click on link below to view an example of wooden Iroko gates. Please note the photo above is only a representation on Iroko hardwood , as it is a natural product the colour can vary.